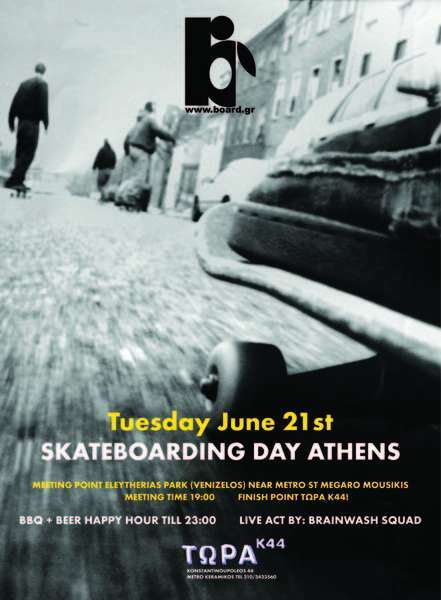 It's a great opportunity for all the skaters of Athens to gather and roll together united! At the end of the day, that's what skateboarding is all about! It doesn't matter if you are 10 yoa (come with your parents) or 50, if you are a man or a woman, a boy or a girl! Just come over and bring your longboard, your cruiser, your old school/vintage skateboard or just bring your skate damn it! Simple as that it's the Skateboarding Day!